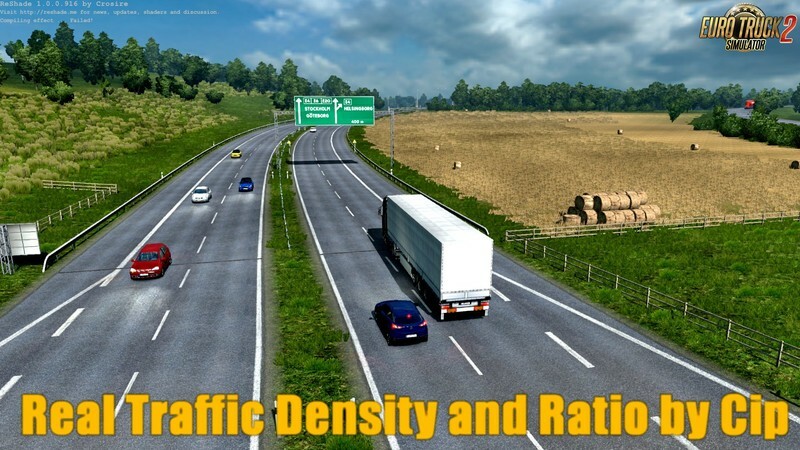 Since 1.30, SCS has given to us a brand new traffic system, which has introduced a lot of new options to build a nice realistic traffic. 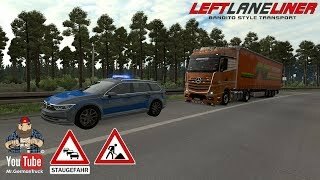 Following a beta version that some of you have tested already (thank you by the way for you outputs in my old thread, I share with you my updated my mod in which I have kept the main features of my old traffic mod, therefore if you wish to know more you may please have a look in the above mentioned link. 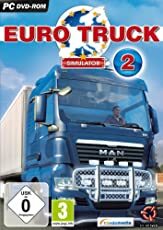 I suggest the old thread to remain open only for discussions related to 1.28 game version and below and start a new thread here. I have also modified the mod's title and versioning to be in line with game version. 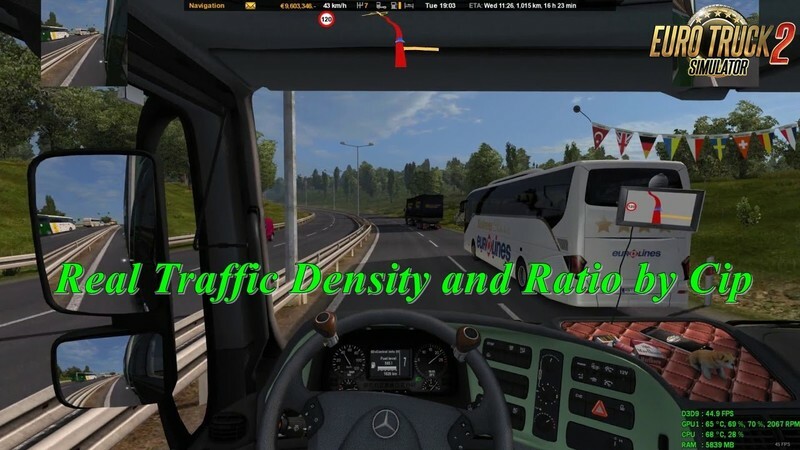 Despite the few bugs in the new traffic system that I hope SCS will solve soon, it has been finally possible to update to the new traffic system and I have tested many combinations in order to obtain a realistic density all day long and also to take advantage from the new system with different traffic density and ratio on each type of roads individually. 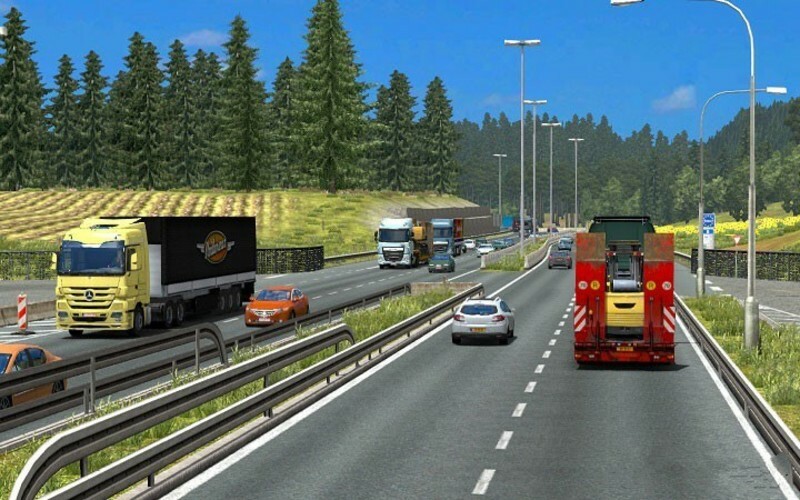 For example, it is possible now to have more buses in cities and more trucks on motorways, also more cars at rush hours, and more trucks during the night. 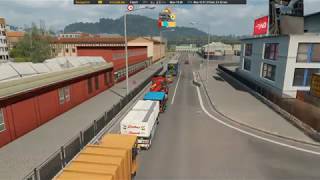 I have tested my mod on Vanilla with almost all jazzycat traffic packs and works great so far. I have also created an addon for Hungary map which I attach in the archive. 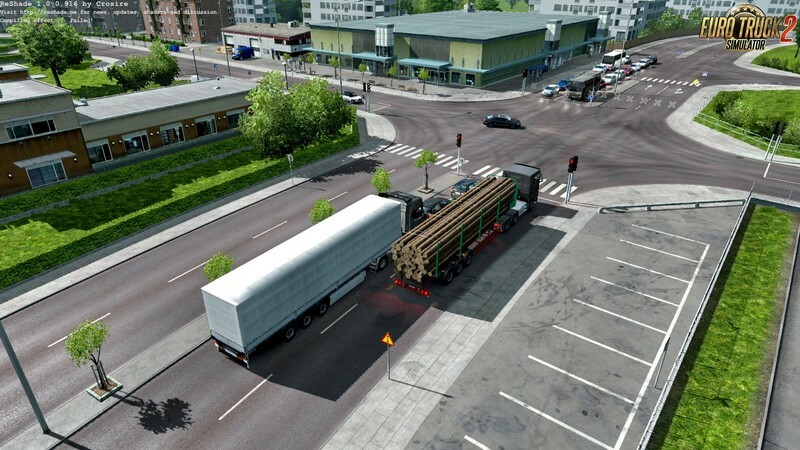 It is very likely to work also on other maps like ProMods but it may cancel some of the ProMods features. I will gradually update the mod's compatibility with other maps soon. of the road, exactly as we find naturally on Europe's roads. important! don’t update my mod yet if you play on Hungary map; the Hungary addon will be updated soon! 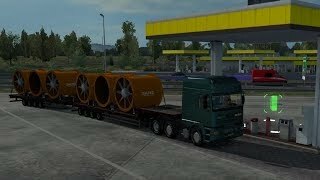 this is my last update and my last post for 2018.
it works with any map with the mention that for Hungary map an addon is necessary (available here and on scs forum). 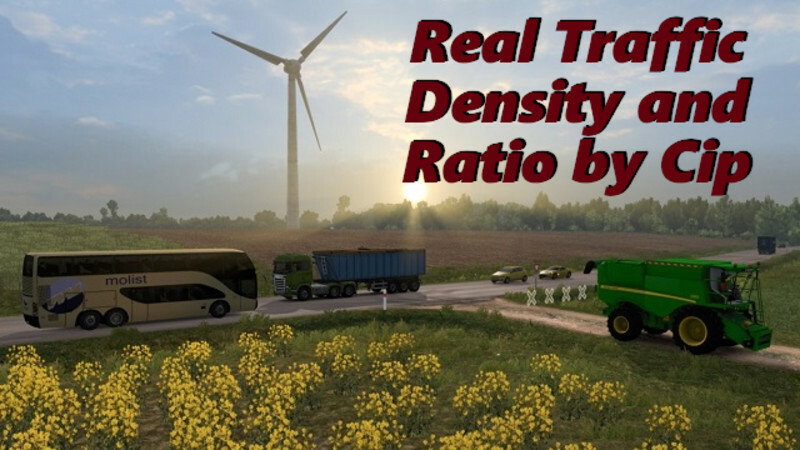 This is a realistic traffic density mod per daytime and by type of the road, exactly as we find naturally on Europe's roads. 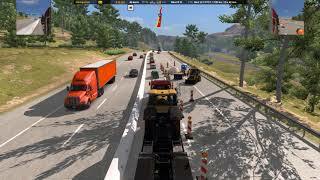 I have tested my mod on Vanilla with almost all jazzycat traffic packs and works great so far. I have also created an addon for Hungary map which I attach in the archive. 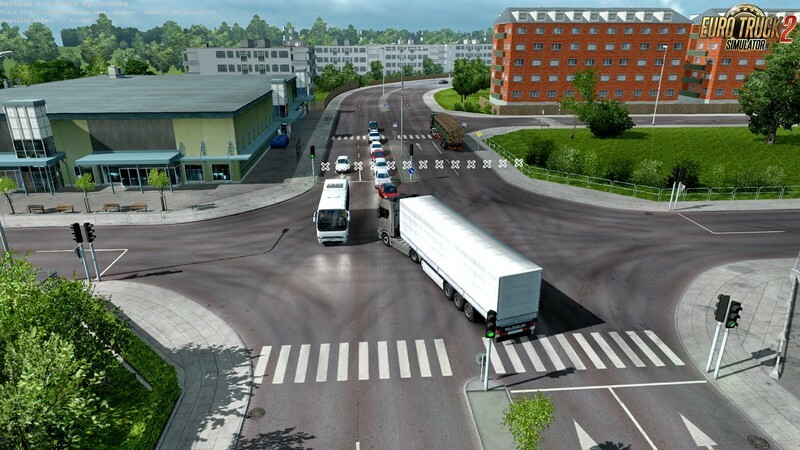 It is very likely to work also on other maps like ProMods but it may cancel some of the ProMods features. I will gradually update the mod's compatibility with other maps soon. Tested on 1.30.x game version. 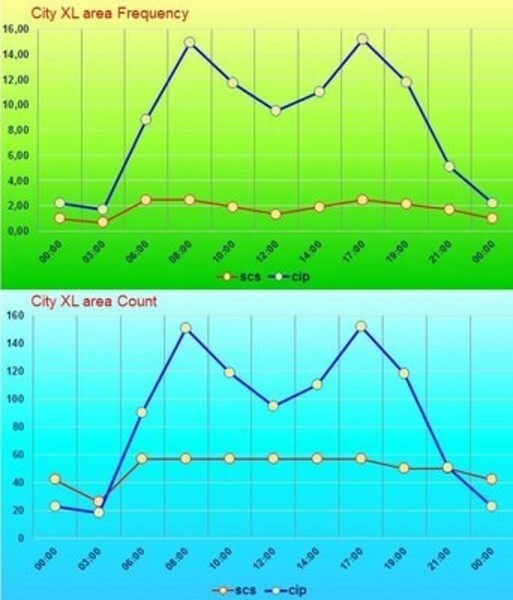 - reduced the frequency of the appearance of slow transport (tractors and combines).